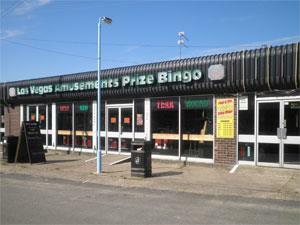 Las Vegas Amusements & Bingo in the village of Hemsby near Great Yarmouth, there's something for everyone. With Route 66 Diner at this venue for a bite to eat. Take the A149 out of Great Yarmouth signposted for Caister-on-Sea and follow the signs through to Hemsby. Las Vegas Amusements is located just off Beach Road behind Sands Amusements. Take a right turn at the mini roundabout on arrival in Hemsby.